It is summer, 1929, and in a small German town a storm is brewing. 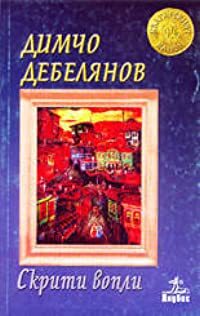 The shabby reporter Tredup leads a precarious existence working for the Pomeranian Chronicle - until he takes some photographs that offer the chance to make a fortune. In Kruger's bar, the farmers are plotting their revenge on greedy officials. A mysterious travelling salesman from Berlin, Henning, is stirring up trouble - but no one knows why. Meanwhile the Nazis grow stronger and the Communists fight them in the streets. And at the centre of it all, the Mayor, 'Fatty' Gareis, seeks the easy life even as events spiral beyond his control. 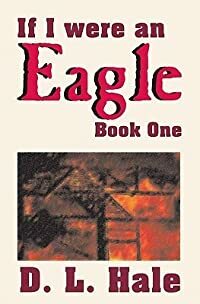 As tensions erupt between workers and bosses, town and country, Left and Right, alliances are broken, bribes are taken and plots are hatched, until the tension spills over into violence. 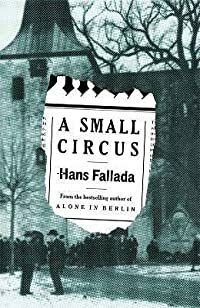 Hans Fallada's raw, darkly humorous account of a town rife with corruption, greed and brutality, first published in 1931, was written as Weimar Germany collapsed around him. It is an extraordinary novel about the failure of governments and the failings of people. Michael Hofmann's brilliant, colloquial translation brings this work of intrigue and foreboding to English readers for the first time. Er verandert veel in de kerk: er wordt geëxperimenteerd, gepionierd en gediscussieerd. Hierdoor heerst er in veel gemeentes verwarring als het gaat om de liturgie. Althans dat is de stelling die de Protestantse Kerk ertoe bracht om liturgie op haar agenda te zetten. Dit boek is bedoeld als gespreksboek voor predikanten, kerkenraden en gemeenteleden. De auteur is o.a. hoogleraar liturgiewetenschap aan de Vrije Universiteit. Hij beschrijft de protestantse liturgie, licht de achtergronden toe en laat zien uit welke verschillende tradities de protestantse liturgie wordt gevoed. The Germ Patrol: All About Shots for Tots...... and Big Kids, Too! Uses rhyme to explain the need for vaccinations and to describe how they work. "Society does not generally expect its farmers to be visionaries." Perhaps not, but longtime Maine farmer and homesteader Will Bonsall does possess a unique clarity of vision that extends all the way from the finer points of soil fertility and seed saving to exploring how we can transform civilization and make our world a better, more resilient place. 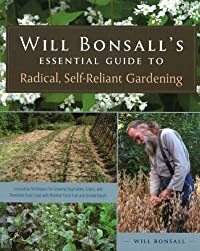 In Will Bonsall's Essential Guide to Radical, Self-Reliant Gardening, Bonsall maintains that to achieve real wealth we first need to understand the economy of the land, to realize that things that might make sense economically don't always make sense ecologically, and vice versa. The marketplace distorts our values, and our modern dependence on petroleum in particular presents a serious barrier to creating a truly sustainable agriculture. For him the solution is, first and foremost, greater self-reliance, especially in the areas of food and energy. By avoiding any off-farm inputs (fertilizers, minerals, and animal manures), Bonsall has learned how to practice a purely veganic, or plant-based, agricultureâ€”not from a strictly moralistic or philosophical perspective, but because it makes good business sense: spend instead of making more. What this means in practical terms is that Bonsall draws upon the fertility of on-farm plant materials: compost, green manures, perennial grasses, and forest products like leaves and ramial wood chips. And he grows and harvests a diversity of crops from both cultivated and perennial plants: vegetables, grains, pulses, oilseeds, fruits and nutsâ€”even uncommon but useful permaculture plants like groundnut (Apios). In a friendly, almost conversational way, Bonsall imparts a wealth of knowledge drawn from his more than forty years of farming experience. "My goal," he writes, "is not to feed the world, but to feed myself and let others feed themselves. If we all did that, it might be a good beginning." 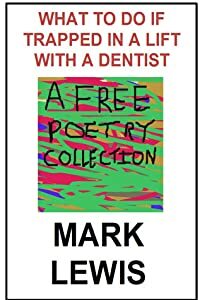 A free book of poems about rabbits, zebras, swans, horses, jetpacks, misogynist advertising, rotating vicars, walkmen, Arthur Neagus, Higgs-bosons, automated call centres, oxymorons, snooker, cornflakes and soiled bandages.